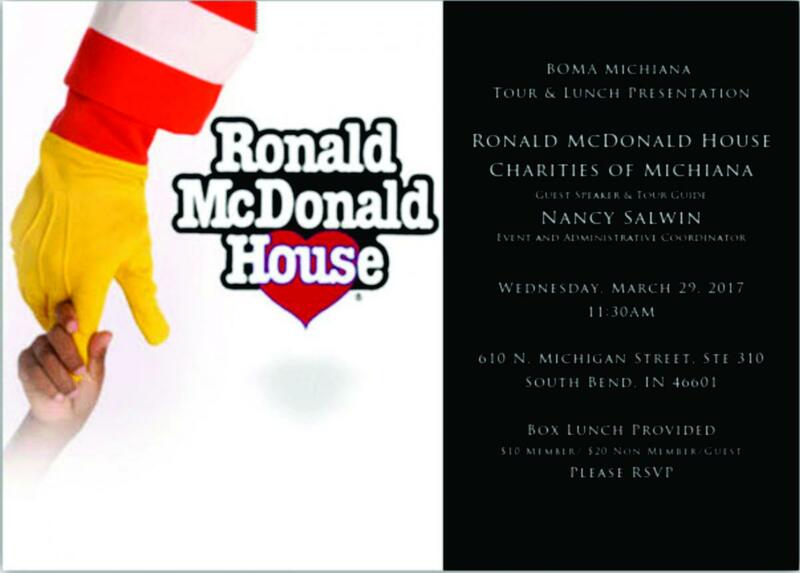 March, 2017-BOMA|Michiana toured the newly opened Ronald McDonald House in South Bend, IN. 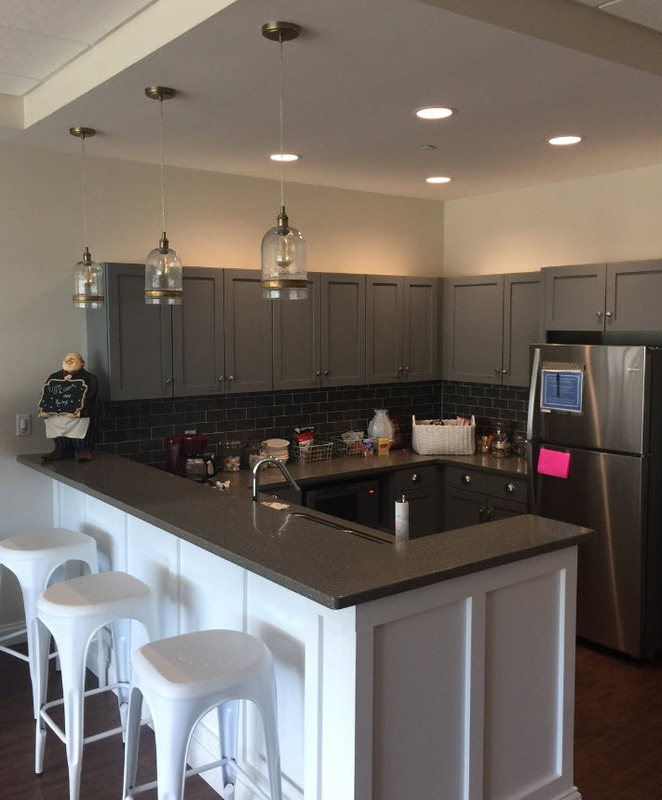 The house is connected to Memorial Hospital via a skyway and serves as a place where parents who have children at the hospital being treated for a variety of issues can come to relax, grab a bite to eat and even stay overnight in one of twenty guest suites. The house serves both short and long term patients and they have had parents stay at the house as long as 6 months at their old location. The food is dontated and the full service kitchen allows guests to make their own lunches, dinners or early morning breakfast. The comfortable seating and voluteers support their mission to provide a space and services to help the families "get away" if even for a quick lunch to help bring their stress down. The site is accessible 24 hours a day and is fully secured. Each guest room has two beds and comfortable accomodations. During our tour we were told that many of the parents travel over an hour to get treatment for their children at Memorial and having the house helps keep costs down for them versus having to rent a hotel room. This location is truly a blessing for our region and for the patients at Memorial. 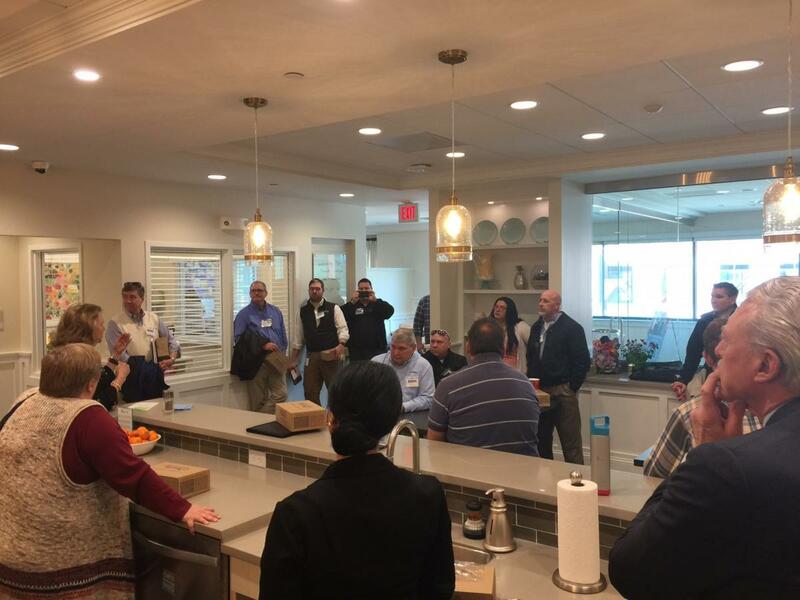 We are proud to have toured such a wonderful organization. To join BOMA|Michiana please visit www.bomamichiana.com to learn more about what we do and see where we are going next!